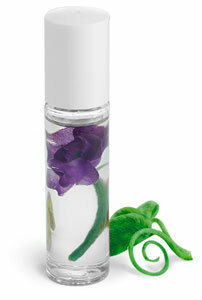 The round flint glass lip balm roll on containers are available with a variety of colored cap options. Cap color options include, black, gold, silver, white, and bronze. The smooth sides of the glass roll on container could make a perfect place for a label.